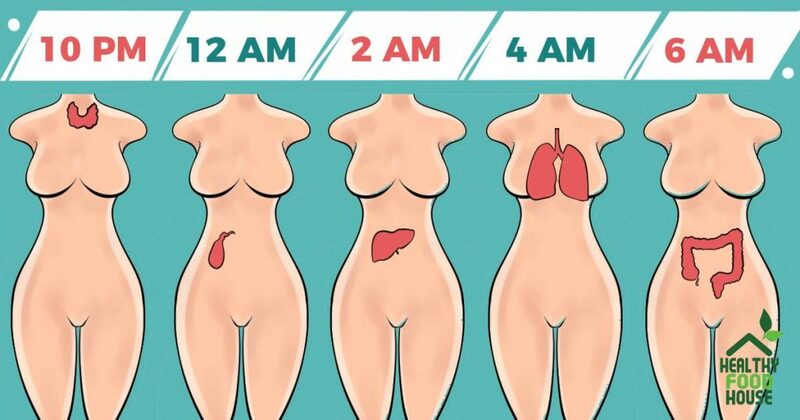 If you wake up around the same time every night, according to the Traditional Chinese Medicine (TCM), it is a clear sign of some imbalance in your body that needs to be addressed. The theory is that our spiritual and physical well-being are directly connected to our internal systems and rhythms, that govern our bodily functions. If you are struggling to fall asleep every night, it is a sign of uncontrolled stress, endocrine imbalances, or some metabolism issues. The TCM believes that this is a sign that you are depleting the gallbladder’s energy stores, and this causes poor fat digestion in the body, as well as low self-esteem, and poor decision-making skills. This means that your liver needs rebalancing, and you might experience symptoms like headaches, chronic fatigue, anemia, and irregular periods. On an emotional level, it is linked to anger, so you also might repress some anger, frustration, or resentment. The lung is responsible for moving the qi (energy) through the meridians and the entire body, so if you wake up at this time every night, you might have some hidden sorrow and grief you need to cope with. Also, these imbalances might lead to a poor immune system, wheezing, coughing, and asthma. This means that you need to “let go” things, both, emotionally and physically. You might suffer from dry stools, skin rashes, and constipation. Getting a sound and high-quality sleep every night will improve the quality of your life, while the effects of sleep deprivation include high blood pressure, weight gain, inflammation in the body, high blood sugar levels, increased cortisol levels, and much more. ”- Stick to a sleep schedule of the same bedtime and wake up time, even on the weekends. -- Practice a relaxing bedtime ritual. -- If you have trouble sleeping, avoid naps, especially in the afternoon. -- -Exercise daily, and even light exercise is better than no activity. -- Design your sleep environment to establish the conditions you need for sleep. Your bedroom should be cool – between 60 and 67 degrees, and free from any noise that can disturb your sleep. -- Sleep on a comfortable mattress and pillows. -- Use bright light to help manage your circadian rhythms. -- Your body needs time to shift into sleep mode, so spend the last hour before bed doing a calming activity such as reading. -- If you have trouble sleeping, avoid electronics before bed or in the middle of the night.